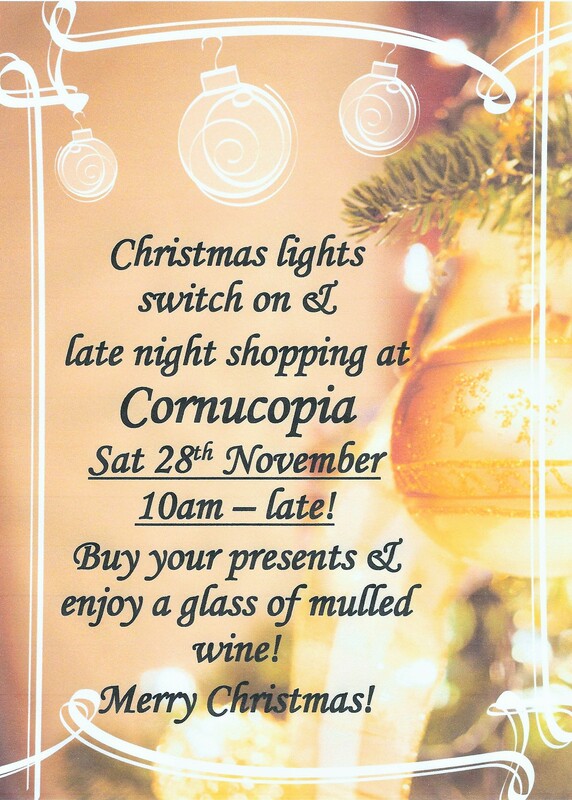 Lights switch on and late night shopping this Saturday! Don’t forget that this Saturday 28th November is Harleston’s Christmas Fair and lights switch on event. Cornucopia will be open from 10am until late for shopping and mulled wine!